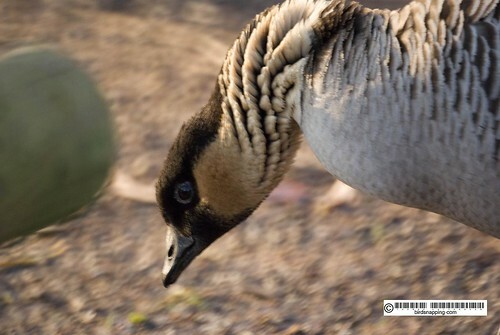 Hawaiian goose, also known as the the Nēnē is the worlds rarest goose. 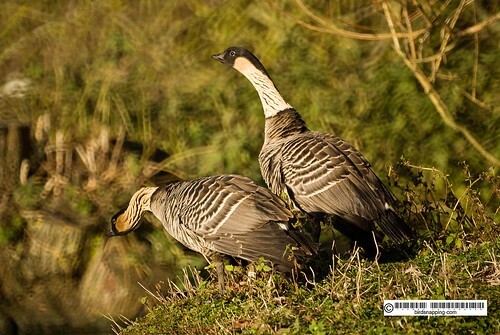 It is the official bird of the State of Hawaiʻi, and is exclusively found in the wild of the islands of Maui, Kauaʻi and Hawaiʻi. 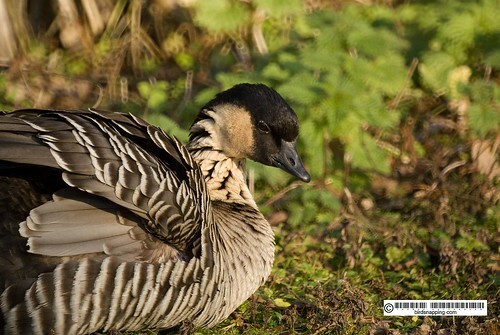 I snapped these shots of the nene while out in Slimbridge wildfowl and wetland centre. 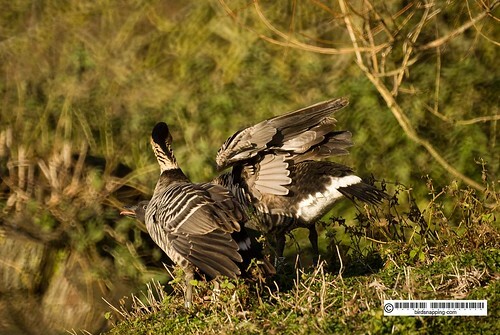 The birds have a black head and hind neck and the neck is streaked with diagonal stripes. Females look the same as males, but are slightly smaller. 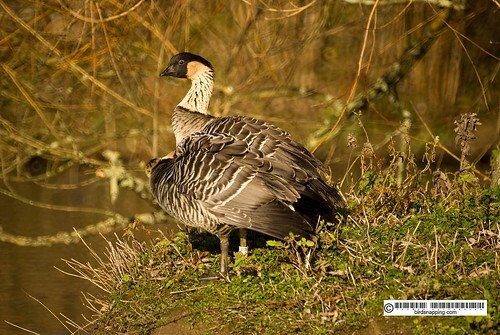 The nene has reduced webbing on its feet as they are supposed to have adapted to the lava flows on the island on which they live. 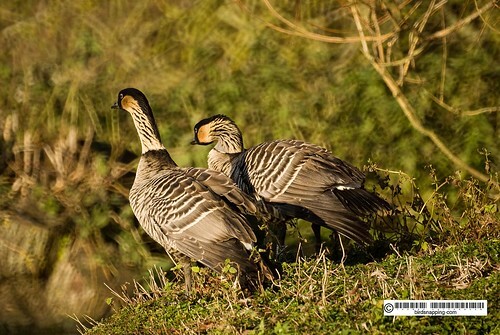 Once thought to be a common bird, their population was reduced to around 30 by hunting and predation. 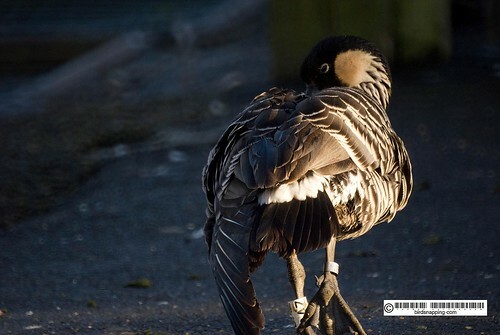 however, these goose breed well in captivity and as a result of captive breeding, the population has since increased. 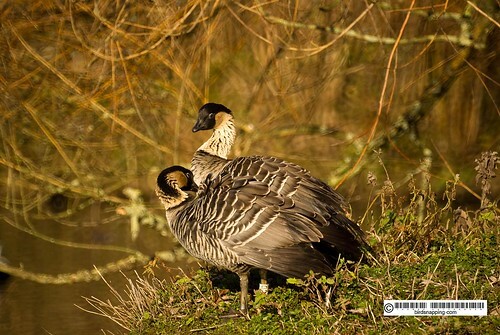 It was in Slimbridge, under the direction of Sir Peter Scott, which was instrumental in breeding these birds back from the brink of extinction and re-introducing them to Hawaii. 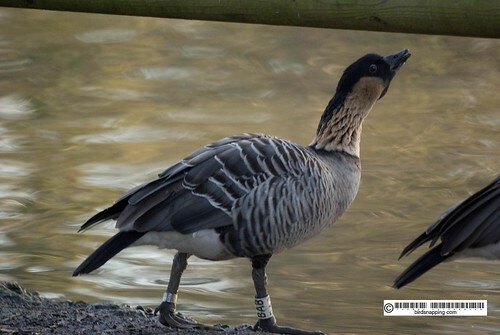 In Slimbridge however, they dont give off the impression of being so rare as they are the most friendliest of the parks wildfowl. 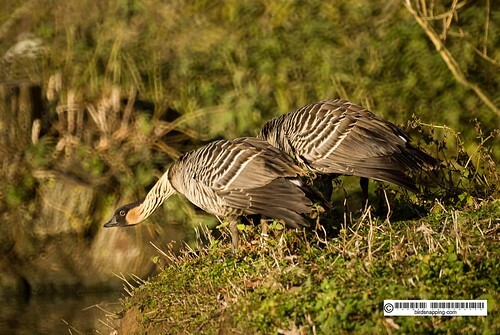 Stacey and I got the chance to see these birds in the wild on Maui while we were camping and hiking down from the Volcano to the Ocean. They were tame and seemed to want some food from us. They were also at Volcano National Park on the Big Island in one of the semi active crators. They are a fun bird to watch. It's nice that you are able to see them where you live too. We also saw these birds at the Volcano National Park at the Big Island.